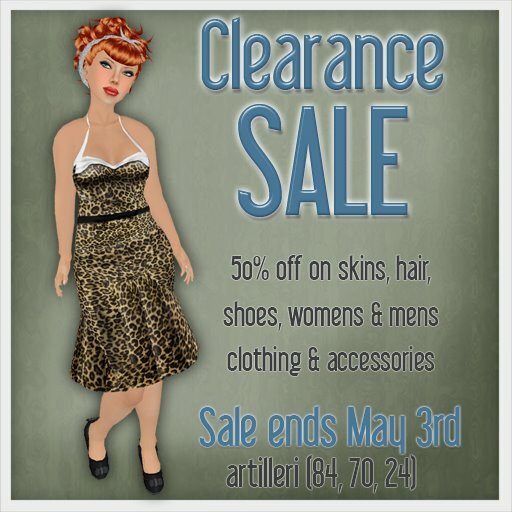 Antonia Marat of artilleri is retiring some of her designs, but before she does, she's having a clearance sale. She's offering 50% off on skins, clothes, hair, shoes, and men's and women's clothing. Now is the time to stock up if you've been putting off a purchase! Icing is one of those really reliable shops where you know whatever you buy is going to look even better on you than it does in the advertisement. The ruffled prim attaches to the chest, so necklace options can be a bit tricky, and it may need some adjustment depending on your chest topography.